In this sci-fi action movie, killer robots from the future are still trying to assassinate young John Connor, the boy who will one day grow up to lead a rebellion against them. This time, a shape-shifting top-of-the-line Terminator has to fight an older model (Arnold Schwarzenegger) who has been sent back to serve as Connor's bodyguard. 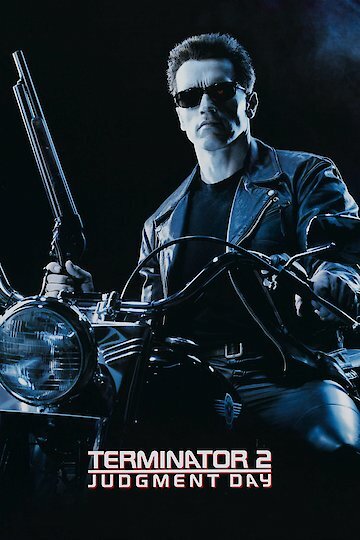 Terminator 2: Judgment Day is currently available to watch and stream, buy, rent on demand at Vudu, Amazon, Google Play, FandangoNow, iTunes, YouTube VOD online. The saga of the Marine Corps Ball gets weirder by the second. It all started when one bold Marine asked "Friends With Benefits" star Mila Kunis to attend the ball with him via YouTube, and Kunis accepted (at the urging of her co-star, Justin Timberlake). Then, another Marine made a video asking Timberlake to the dance, and Justin said yes. Then, things took a turn. Sgt. Ray Lewis made his own YouTube video asking "Hot in Cleveland" star Betty White to the ball, saying that she's "funny, she's sweet, she's mature, she's the all-around perfect woman. If you're wondering why "Skynet" has been trending on Twitter, it's because today is Judgement Day. That's right! According to "Terminator 2: Judgement Day," the date that the computer network Skynet becomes self-aware and begins its war against all mankind is April 19th, 2011. The movie is even specific enough to give us a time: 8:11pm. That's probably Pacific time, considering the movie's location. You might be a James Cameron superfan. You might have seen "Terminator 2: Judgement Day" 50 times. But you haven't seen it quite like this. The Husky Jackal Theatre Company in Nashville, Tennessee is planning a rather unconventional performance this year: they're going to do a version of "Terminator 2" entirely in Elizabethan English, just as if Shakespeare himself had written it.